We marked World Mental Health Day with a showbiz launch of short films about mental health. We marked World Mental Health Day with a showbiz launch of short films featuring young people chatting about experiences discussing anxiety, psychosis, personality disorder and neurodiversity. The videos show Mercury Prize nominee Loyle Carner alongside Izzy Phillips, the lead singer and guitarist with Black Honey, and mental health professionals from Oxford Health NHS Foundation Trust and the University of Oxford. Both musicians talk about living with attention deficit hyperactivity disorder (ADHD) to inspire others with neuro-diversity to chase their dreams and live life for who they are. Interviewers Sadie Rees, Naomi McPartlan and Amy Burns, from Oxfordshire, discuss common mental health conditions experienced by young people with the musicians. Sadie, 17, said: “I’ve really loved it. It’s been an incredible learning experience and lot of fun. Being able to interview some of my favourite people, and discovering new things about them, has been such a rare thing. It’s also let me develop new skills. “I have learnt so much about myself. It’s been such an amazing thing to be involved in, its helped me to understand myself more. Who I am, what I have been through, and where I could go from here. As well as being a ground-breaking rapper, Loyle Carner is also a social activist writing a forward to “Dyslexia Is My Superpower (Most of the Time), a book for young people about the condition he was diagnosed with at the time alongside ADHD. He also runs a cooking school for young people with ADHD to develop confidence and skills. 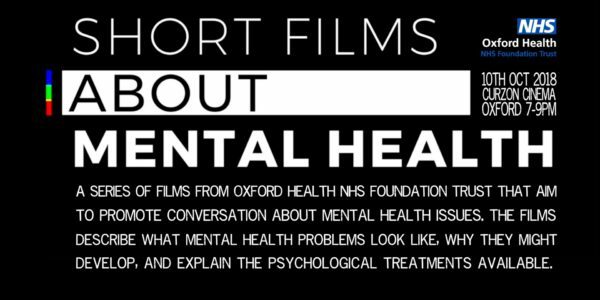 Find the videos on the Oxford Health YouTube account playlist Short Films About Mental Health. You can also follow the project on Instagram @shortfilmsaboutmentalhealth and Twitter @SFAmentalhealth, and follow #shortfilmsaboutmentalhealth. Sadie, Naomi and Amy also talked to Dr Hannah Stratford, clinical psychologist at Oxford Health NHS Foundation Trust; Dr Jessica Bird, a clinical psychologist and researcher at Oxford Health NHS Foundation Trust and the University of Oxford’s Department of Psychiatry; Dr Stephanie Hunter, clinical psychologist; Annya Alfoadari, dialectical behaviour therapy lead at Oxford Health NHS Foundation Trust; and Maria Bourbon, Oxfordshire Children and Adolescent Mental Health neuro-developmental conditions clinical team manager at Oxford Health NHS Foundation Trust. The videos were produced by Stuart Hobbs, multimedia project lead at Oxford Health NHS Foundation Trust’s Highfield Unit at the Warneford Hospital in Oxfordshire. Mental health matters. You matter.